Prominent & Leading Manufacturer from Ludhiana, we offer hammer mill grinder, hammer grinder, small hammer mill grinder and hammer mill grinder with cyclone. Hammer mills are fitted with changeable screens to adjust the output size of material; also one can change the blades as per the material requirement. We provide both Hammer Grinder with Cyclone and Hammer Grinder without the cyclone. Hammer Grinder is used to grinding agricultural, biodegradable and forest waste. It granulates the material into the powder form as per the requirement of the customer. 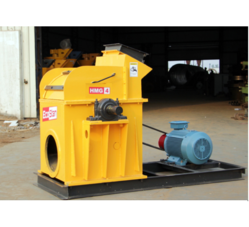 A hammer mill is iron drum containing a vertical or horizontal rotating shaft on which hammers are fitted. 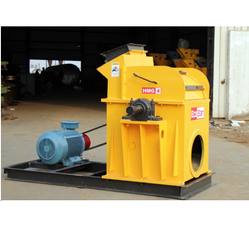 We offer Small Hammer Mill Grinder to our clients. The hammers are free to swing on the ends of the cross, or fixed to the central rotor. The rotor swims at a high speed inside the drum while the material is fed through the feed-in conveyor. The material is clashed by the hammer batten and is thereby shredded and expelled through screens of a selected size. Board Width 900 mm, 1250 mm, 2100 mm etc. 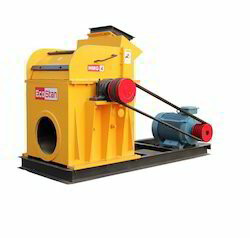 Hammer Mill Grinder with Cyclone has a large diameter dynamically balanced rotor. it is used to grind the dried material such as agriculture waste ad residuals i.e Groundnuts shells, wood chips, rice husk, cotton stalks, sugar cane trash. Its body is made from tested plate, alloy steel shaft for long life bearings are width, dust protected and fitted away from grinder body guarantees continuous production and performance. Grinder blades are fitted with rotor.